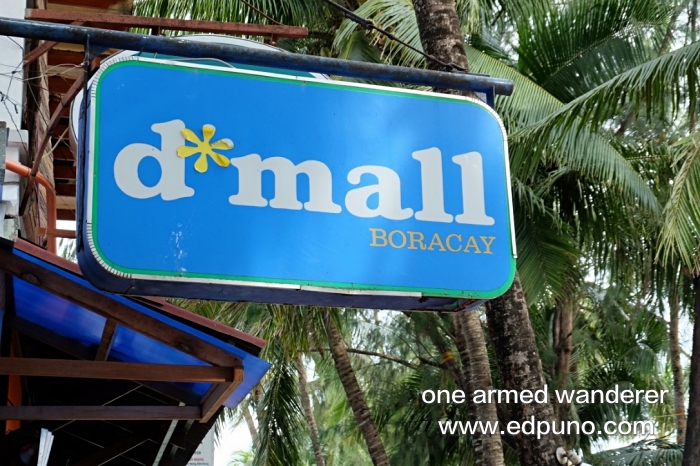 D’ Mall is located in station 2 of Boracay’s white sand beach. This al fresco shopping center has been around Boracay for quite some time. D Mall has become a popular landmark in the island. It has established itself as the very first and the best one stop shop for anything that any tourist needs. The entire D Mall complex is jam-packed with restaurants, bars, cafes, souvenir shops, travel agencies, money changers, ATMs and even hotels. There are countless of things to do in D’ Mall. Fulfil your gastronomic adventures through a wide variety of restaurants. If you love shopping, D’ Mall will not disappoint you. 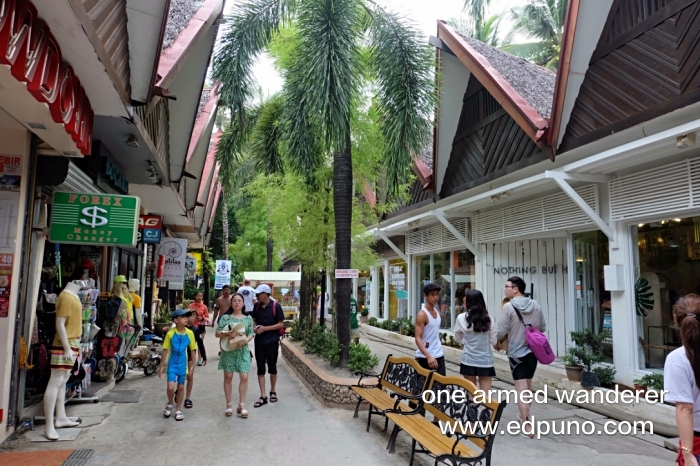 There is a number of shops, mostly international brands, selling apparel from swimwear to casual attire. If you are a party animal, there is a good number of bars that will truly make your Boracay trip memorable. 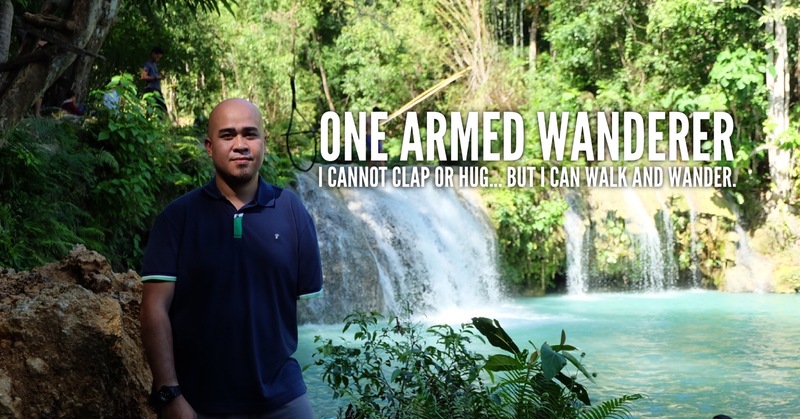 If you just want to simply hangout and relax, milk tea, coffee shops and cafes are everywhere. Souvenir shops are also all the place, you can buy your Boracay souvenirs from keychains, refrigerator magnets, t-shirts, bags and many others. Tip: If you are buying Boracaray souvenirs, skip D’ Mall and go to D’ Market or D’ Talipapa instead. Souvenirs at D’ Mall are a bit expensive. You can buy souvenirs at D’ Market or D’ Talipapa at a cheaper price. Just walk along Station 2 and you will definitely pass by D’ Mall. The are signs indicating the entrance of D’ Mall. If you are staying in a resort, hotel or accommodation in Station 2, D’ Mall can be reached by foot in a couple of minutes. If you are staying in Stations 1 or 3, you can also walk along the white beach to Station 2. You will know that you are already in D’ Mall entrance if you see Epic bar along the white beach. Alternatively, you can ride a tricycle along the main road. Fare is 10 Php ($0.20) each for non-special trip. Just inform the driver to drop you off in Budget Mart convenience store at D’ Mall. When nature calls, there are 2 paid public comfort rooms within D’ Mall complex. Just make sure to prepare 5 Php everytime you use the comfort rooms. D’ Mall shops opens at 7:00 AM and closes at 11:00 PM. Overall, I highly suggest visiting D’ Mall if you are going to Boracay. The places if fun and truly a haven for food lovers and shoppers! Tip: If you are visiting Boracay, get huge discounts on your Boracay hotel HERE.